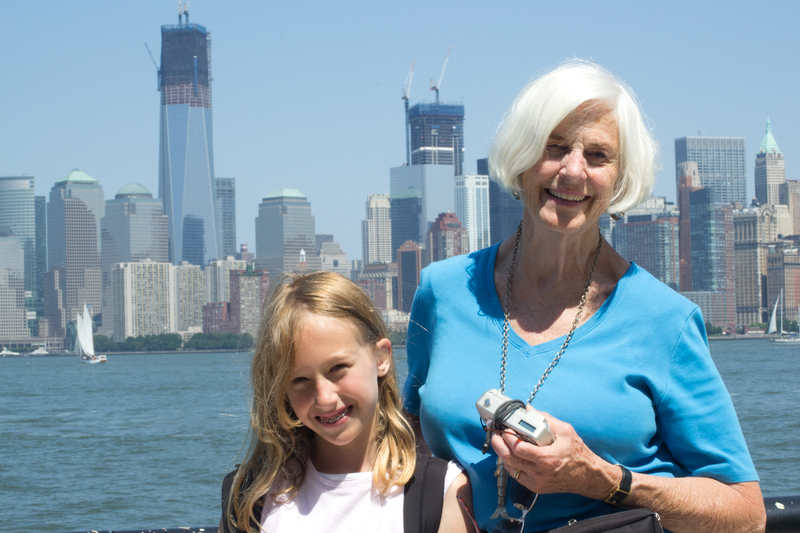 Grace Christie and Barbara Pelzel enjoy an afternoon on Ellis Island. 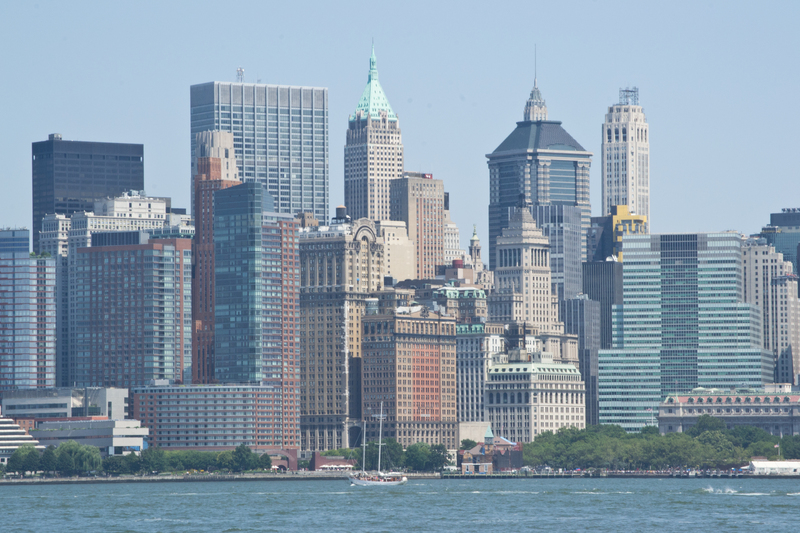 (New York City, August 4, 2012) Today started hot and humid, much like yesterday. 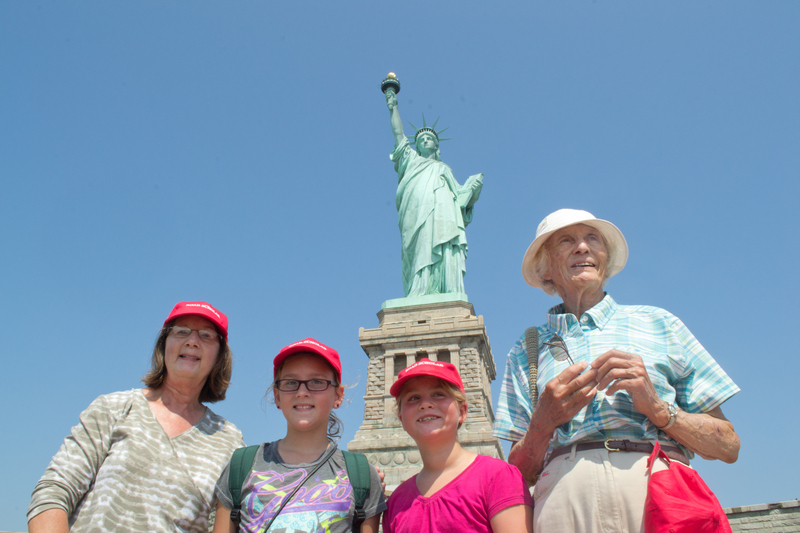 Even a cruise on the Miss Ellis Island to the Statue of Liberty didn’t offer the relief we expected. But suddenly, around lunchtime, the haze cleared, the temperature dropped just a bit, and we enjoyed views of the harbor in all directions that would make Mayor Bloomberg proud. Judy Maifield, Mya Kirke, Tabitha Lamberg, and Judy Lamberg with New York’s Leading Lady. “Liberty Enlightening the World,” which we learned last night is the proper name the French gave to the Statue of Liberty when they gave it to America in 1876, never looked better as she nears a re-opening in October. And, as a matter of fact, we looked pretty good ourselves, in case anyone is asking. 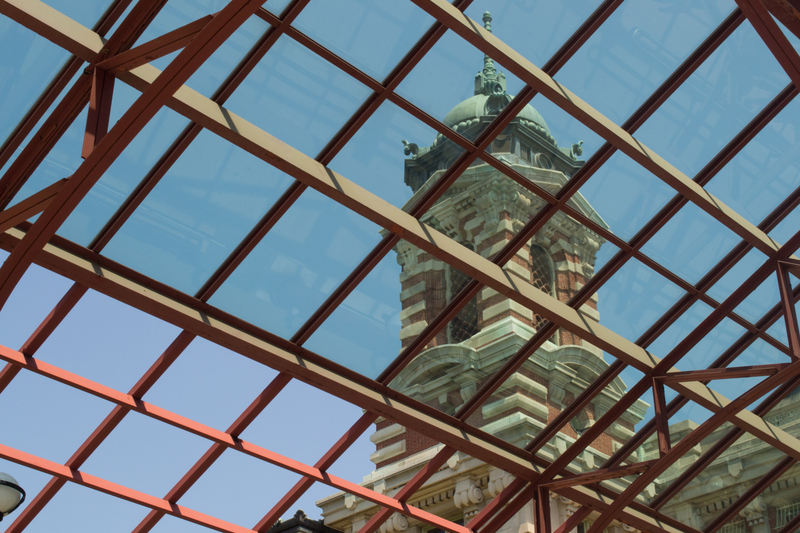 Twenty-first century visitors enter the Main Building at Ellis Island via a covered walkway. Soon it was time for the short cruise to Ellis Island and its inspiring chronicle of America’s – and so many of our families’ – history. How differently immigrants came to the United States then – by ship, to a single building in New York – than now – by airplane to cities throughout the country, processed in advance in American embassies before their flights. 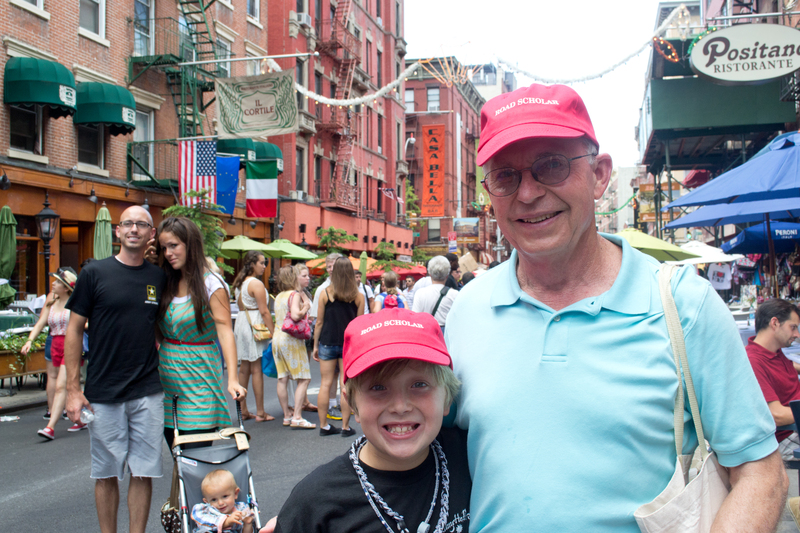 Doug Reeves and Rob Thomas on Mulberry Street, just before dinner. Later in the afternoon, we headed back to Manhattan and Battery Park, where we took in some street theater, and a few young Road Scholars actually got into the act. It was unexpected fun, and we were able to share it with other New Yorkers as well. After the “show,” we continued to Chinatown and eventually Little Italy, for a dinner at Paesano’s Restaurant and dessert at the legendary Ferrara’s Bakery. What a great way to start the weekend! Lower Manhattan sparkles as we return from Liberty and Ellis Islands.